As Cavs fan we find ourselves in a familiar place. The Cleveland Cavaliers were down three games to one against the Golden State Warriors last year in the NBA Finals. Flash forward one year to tonight and the Cavs are down once again, three to one. LeBron and company will try to one-up their incredible feat from last year. Winning three games in a row was a miracle before our very eyes! Will they be able to replicate that miracle with four straight wins? It will be a hard task! In 2016, Golden State won a total of 73 games (the most by any NBA team in history) and were clear favorites going into the 2016 finals. This year, they have added even more fire power to their shooting squad in Kevin Durant. Kevin Durant is an unstoppable monster that will definetly one day have a seat in the Hall of Fame. With the combined talents of Steph Curry, Draymond Green, and Klay Thompson and now Kevin Durant, the Cavaliers are facing arguably the best team to ever be assembled in the NBA. Will they pull through? We hope and pray that answer is yes! 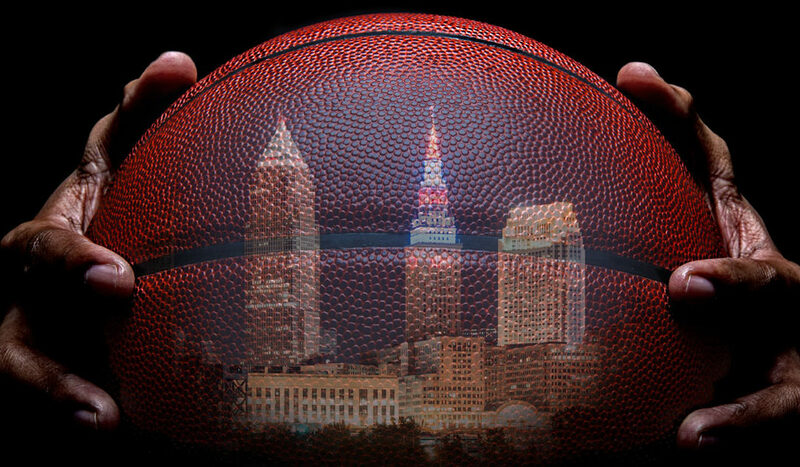 We still believe in our Cleveland Cavs. We also believe in the will power of LeBron James. In the last three elimination games leading to a championship for Cleveland in 2016, James has had an incredible stat line. On average he was able to score 36 points a game, grab eleven rebounds and dish out nine assists. In the elimination game played in Cleveland on Friday, LeBron had a very similar stat line: 31 points, eleven assists and ten rebounds. One can only imagine what the stats will read at the Oracle in Oakland tonight. LeBron is not alone. Kyrie Irving has been unbelievable this Finals, he’s getting to the lane and putting up floaters against three defenders, stepping back from deep behind the arc, and criss-crossing opponents to the drive to the basket. When you talk about a point guard with the basketball on a string, you instantly think of the former Duke player. LeBron also has the help of Kevin Love, Tristan Thompson and JR Smith. One theme LeBron has kept steadily is the phrase “Championship DNA”. Although mentioned before have been tested and proven for the past three years. Looks like we’ll have to take this one game at a time. Tune in tonight at 9 PM on ABC for Game 5 of the NBA Finals. Here at Snyder Auto Group, we believe. Do you believe that the Cavs will win this series? Vote now here.